The UPPSC (Uttar Pradesh Public Service Commission) has made the admit cards for the Dental Surgeon Exam 2019 available to download. You can download the UPPSC Admit Card Dental Surgeon 2019 on their official website, which is www.uppsc.up.nic.in. The exam for the Dental Surgeon is going to be held on March 17, 2019. Candidates who are going to appear in the exam are asked by the commission to use your credentials to download the admit card from their official website. 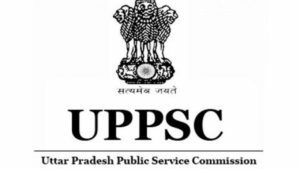 The UPSSSC (Uttar Pradesh Subordinate Services Selection Commission) is the commission that will be conducting the exams for the recruitment of vacant posts in UP. Candidates are asked by the commission to only download the UPPSC Admit Card 2019 from www.uppsc.up.nic.in only. The second step is to click on the link that says “UP Dental Surgeon Admit Card”, you will find the link on the home page of the website. The third step is to wait until a new page opens, after you are on the page, please enter your application number, security pin, and correct date of birth before you log-in. The fourth step is to wait until your admit card appears on your screen. Important Note: Download the UPPSC Admit Card 2019 and print it for future references.